Own a business? Live in the neighborhood? Client at New Day? Or you just like meeting new people? This event is for YOU! 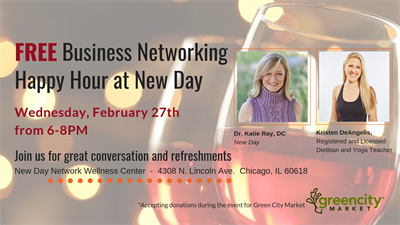 Join us for an evening of informal networking at New Day (4308 N. Lincoln Avenue). Wine and light snacks will be served. Also, if you are able, please bring a bottle of wine to share. 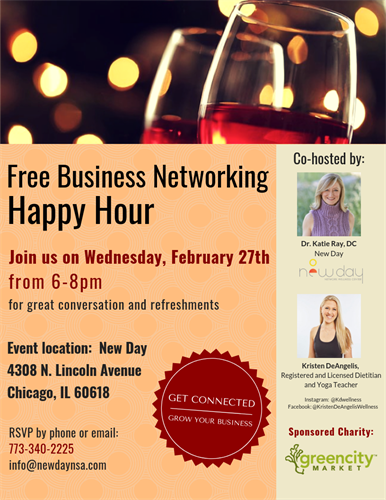 We look forward to networking with you!